Do.List uses a prioritization model. Do.List is a to-do app for personal tasking and outside of work, deadlines like"April 26th at 7:00pm" don't work. Short term deadlines like Today, Tomorrow, and Later fit our day-to-day lives better. Organization is a HUGE part of Do.List's design. 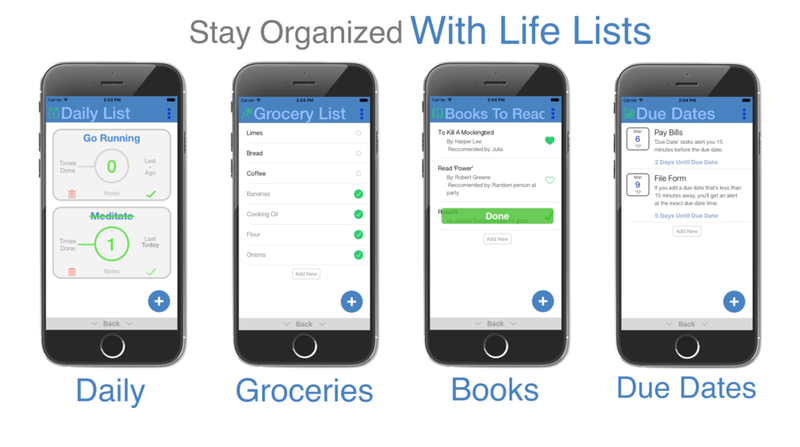 Do.List introduces something big, new, and simple: Life Lists. This area provides 30+ lists for life, including: Groceries, Pack Lists, Books to Read, Movies to See, and you can even add your own. A productivity app has never been so fit to your life, until now. Do.List has lots of cool features. You can get dancing stick figures after you complete a task, Monday morning motivational quotes, and more. It's not just a to do list, it's your to do list. Turn on what you like, turn off what you don't. Not everybody loves Do.List, but a lot of people do! About 9 out of 10 people who review Do.List leave it either 4/5 stars or 5/5 stars. 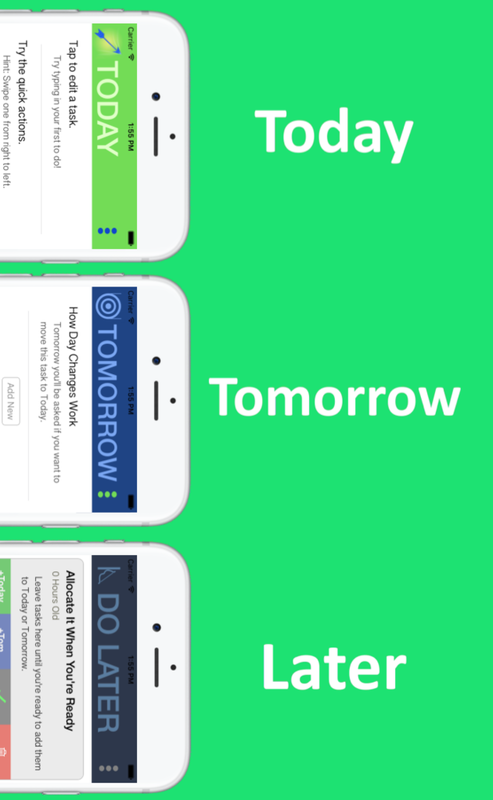 When you open Do.List the home screen is "Today". You can't change that feature. It's important. Every time you open the app you're staring at what you need to focus on Today. Life Lists weren't just a random idea. There was a problem. Non-urgent things like books to read and packing lists pile up making short lists into long lists. They add clutter. They ruin focus. Life Lists provide amazing organization while empowering focus. If our work calendar says "10am meeting", at 9:58am we head into the meeting. However, if our personal calendar says "7pm, Laundry" we often ignore it. One by one tasks with unmet deadlines pile up. It's time we start being honest with ourselves, scheduling our personal to dos to a specific date and time doesn't work. It's time you get realistic, try Do.List, and focus on Today. Abandoning due dates and trying a new model... how'd that work out? Do.List hit 10,000 downloads per month in January and people seem to love it. It turns out, prioritizing works really well. 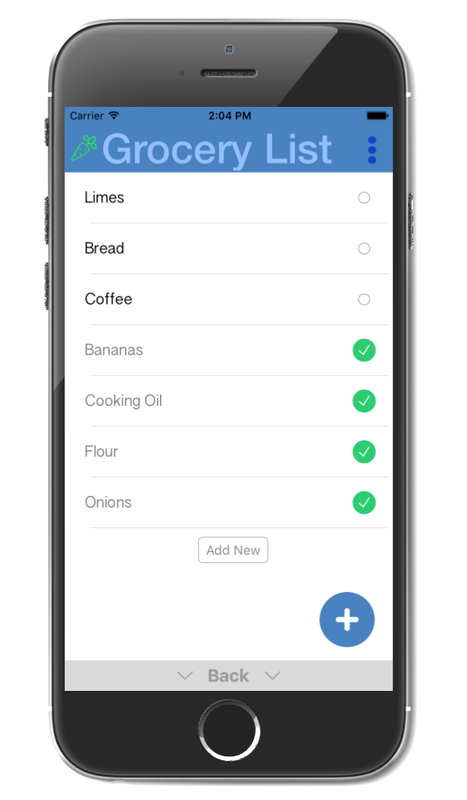 People also really love how organized Do.List is. They prioritize, they use Life Lists, and they don't schedule tasks to deadlines they can't keep. People are seeing it change how they task.